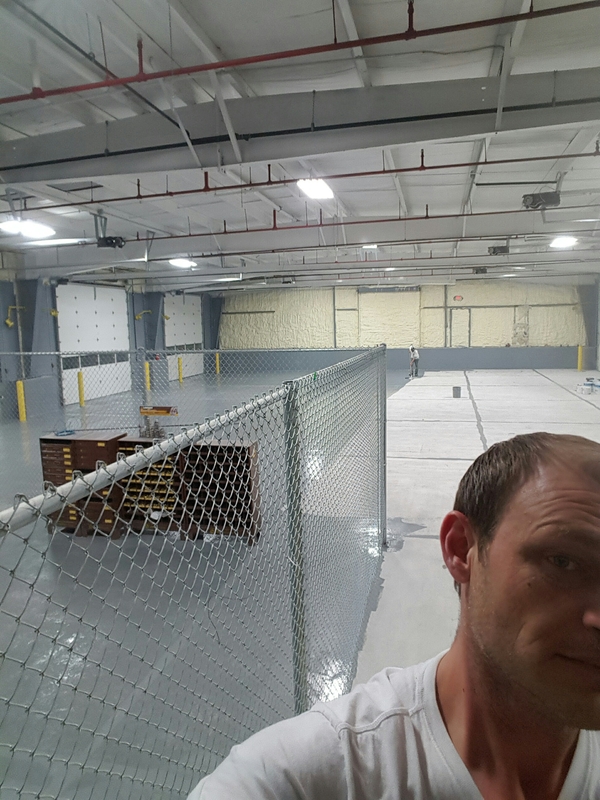 There are a number of benefits that come with using epoxy floor coating in your business. Outside of the visual appeal and easy maintenance of this material, epoxy flooring could help you protect visitors that come through your building. Read on to learn about the unexpected ways epoxy floor coating can keep your guests safe. When you get ready to install your epoxy floor coating, you can opt for a slip-resistant additive that will prevent people from falling on your floors. Most epoxy floors are fairly slick on the surface, but this additive gives them more friction to keep your guests grounded. Your employees may know to wear slip-resistant shoes, but that doesn’t mean that your visitors will. This way, everyone under your roof is as safe as they can be. Another great feature in epoxy floor coating is the fact that you can create colored patterns on your floors. This means that you can designate where your guests should and should not go based on the colors you use for the floors. If you want to allow people to take a tour of the facility, you may create paths in a special color that your guests will know to follow. You could also mark dangerous areas in a bright color to warn people not to go into that part of the building. Plan out your color coding in advance, and you’ll be able to plan ahead for your visitors’ safety. If you have minor damage on your existing concrete floors, industrial epoxy flooring can go directly over the concrete and fill in the cracks for you. This will minimize the trip and fall hazards in your facility and leave you with a smoother, better looking floor to show off. The materials we use in our epoxy floor coating are environmentally friendly, so you can protect your guests and Mother Nature at the same time. Everybody wins! Epoxy floors are extremely durable, making them resistant to cracks and general wear and tear. Your floors will be able to stand up to the day to day abuse that your workers put it through, which means that the flooring as a whole will be safe for your guests to walk across. Don’t stress about having people walk across your cracked, unlevel floor. 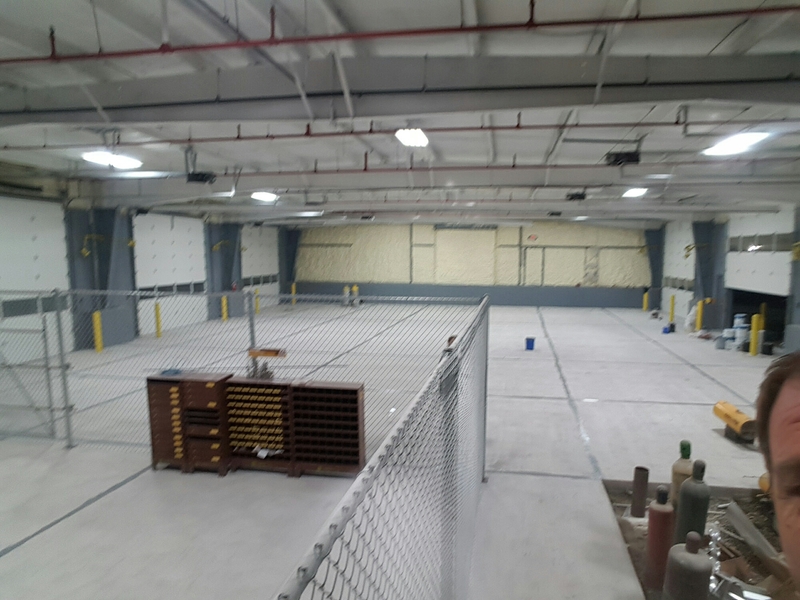 Cover up your problems and enjoy years of safety and security with industrial epoxy flooring from North American Coating Solutions. 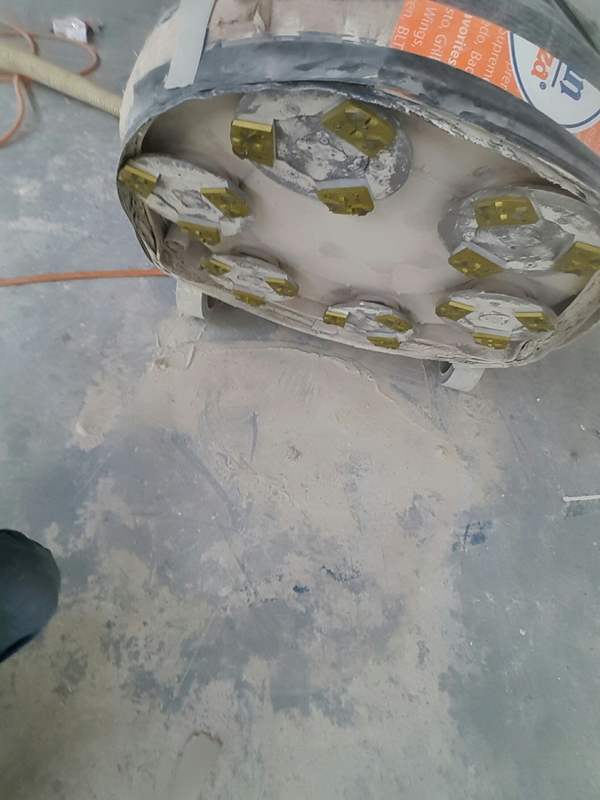 Concrete floors crack and wear down over time. This is common in nearly every industry, but that does not make it any less frustrating to deal with. 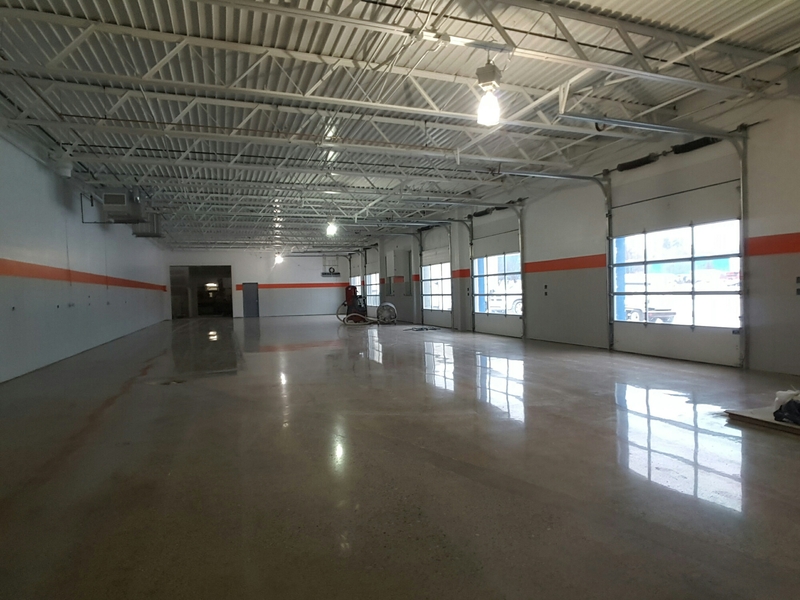 If you are exploring options for concrete floor repair, you may consider covering your concrete with industrial epoxy flooring. In this guide, we will explore how epoxy floors can fix your concrete so you can see if this option is right for you. When we pour our epoxy floor coating on your flooring, it will naturally fill the cracks and crevices in your concrete. It may not be able to fix major damage, but it can cover minor cracking and wear marks. For instance, if your floors have a divot in them from where people have walked in the same path year after year, the epoxy could level that out for you. You get a great looking floor in the end without having to do any work to the concrete. You don’t have to worry about cracking and fraying with epoxy floors. This floor coating is incredibly durable, and it can withstand all the daily abuse you can put it through. Not only will it fill in the existing cracks on your concrete, but it will prevent other ones from forming in the future. You’ll be able to maximize the use of your floors and get even more from your investment. Because of the durability of the epoxy floor coating, you will actually end up with stronger, tougher floors in the long run. The epoxy will fill in the cracks you have on the floor and create a solid, smooth surface for your guests and employees to walk on. As long as you get the right type of epoxy for your specific needs, you should be able to get years of use out of it without any troubles. 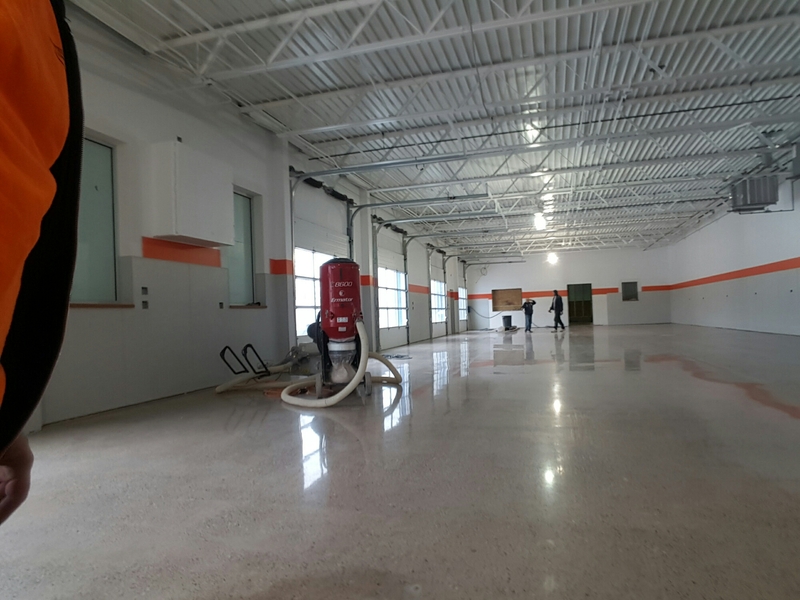 If you want to use epoxy floor coating for concrete repair, you will need to speak with an epoxy flooring company about the different options available to you. 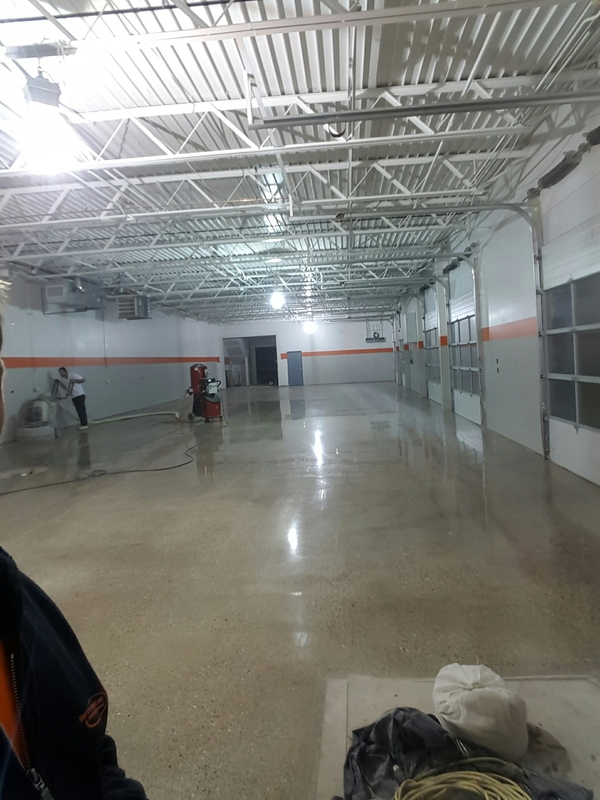 If you contact North American Coating Solutions, we will send one of our experts out to your property to assess your floors and make sure they will work well under the epoxy. If there are major damages that need to be addressed, we will go over those issues with you so you can be prepared for your epoxy flooring. Then we’ll set up a time to come out and install your new floors so you can get back to business. One of the biggest benefits to using epoxy floor coating is the number of colors you have to choose from. With the variety of epoxy color chips available to you, you may have a hard time selecting the ones you like best for your business. The tips below will help you narrow down your options so you can select the perfect epoxy color chips for your building. Are there any areas of the floor that need to be marked in a special color, such as a walking path or a restricted zone of the building? Is there dust or chemicals that may fall on the floor and need to be hidden or highly visible? 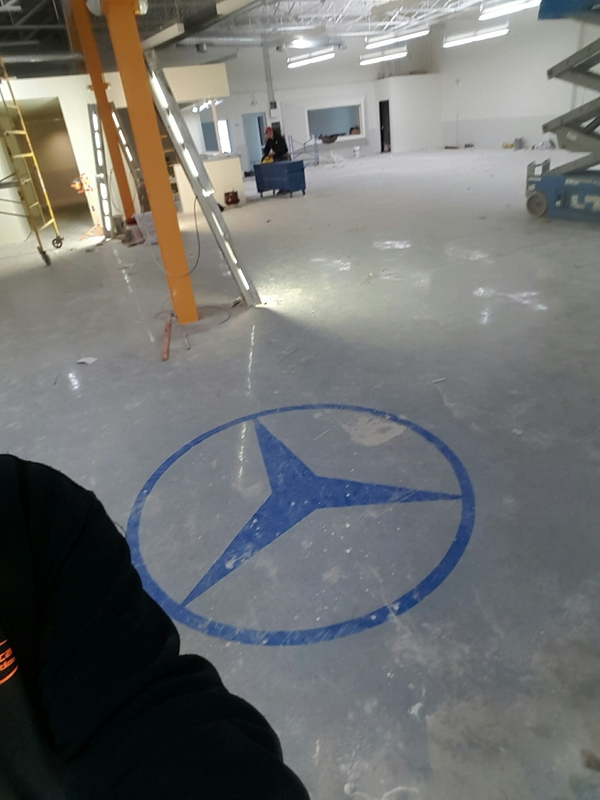 Are there any logos or special designs that you want to add to your epoxy floor coating? Once you determine exactly what you want out of your epoxy floors, you can easily select colors that will accommodate your needs accordingly. 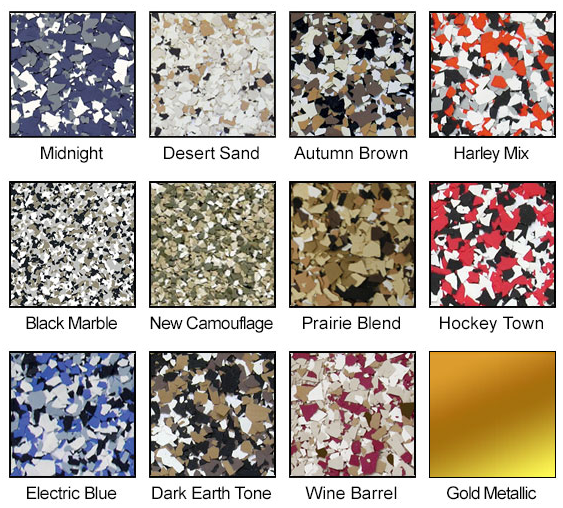 There are two main categories of epoxy floor color chips to choose from: solid or mixed. The solid covers are grey, yellow, red, etc., and they come out as large slabs of color with no variations in them. These colors work well for marking paths and zones in the workspace, and they can help set a single, neutral tone in the building. If you want something with a little more depth though, you may go for a mixed set of colors that will have several different tones in the same family. For instance, our Black Marble Sparkle color chips have black, white, grey, beige, and several other colors mixed throughout. This will give your flooring dimension, and it may help hide dirt on the surface better than a solid color would. You don’t have to stick with just one color for your epoxy floors. You could choose any combination of colors you could think of. Say, for instance, that you want a border to go along the outside of the floors. You could choose a neutral color like Haze Grey to act as the border and then use something like the Harley Mix for the rest of the flooring. Talk to an industrial flooring expert near you about your options to help you decide what you want for your epoxy floors. 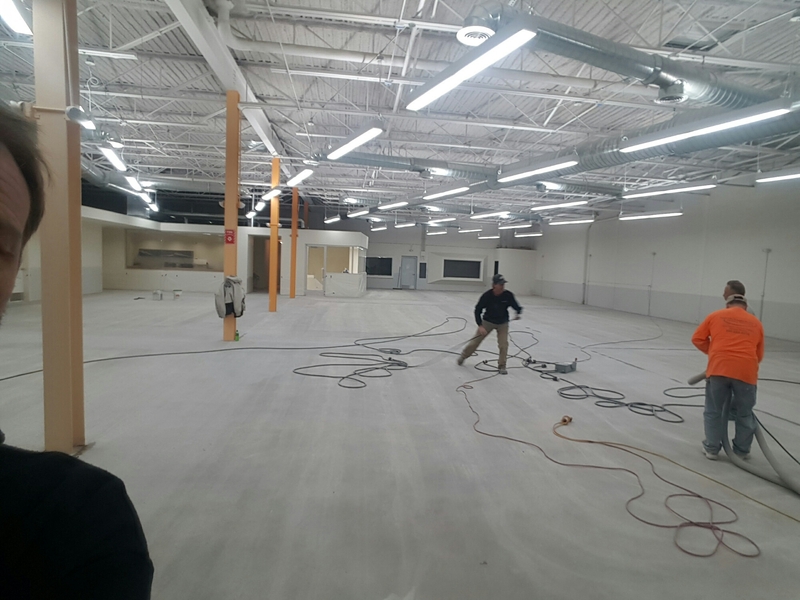 When it comes to industrial flooring, there is a never ending battle between concrete and epoxy. 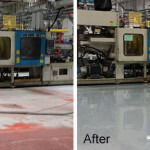 While both can serve as a solid foundation for a warehouse, manufacturing plant, etc., the fact is that there are some obvious benefits to using epoxy floors instead of basic concrete. 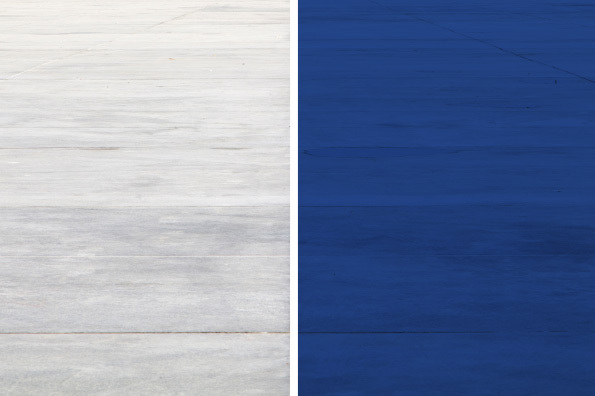 Before you decide which flooring material is right for you, consider this comparison of concrete and industrial epoxy flooring. Both epoxy and concrete are designed to stand up to daily wear and tear, but epoxy can do so a lot better and a lot longer. That is because of the general makeup of the epoxy. Not only is it stain resistance and chemical resistant, but it is also resistant to cracking and chipping. Concrete will crack and wear down over time, but epoxy will still be going strong. In fact, epoxy floor coatings are often used to fix concrete cracks because they can be poured directly over existing concrete floors. The upgrade is worth the rewards. Both flooring materials can be easy to clean, but once again epoxy ranks just a little higher in the ease-of-maintenance department. That is because the seal on the surface of the epoxy prevents stains from forming on the flooring. As long as you know how to sweep and mop, you can take care of epoxy floors. Because epoxy floor coating is crack resistant, you don’t have to worry about dirt and liquids getting trapped in crevices along your floors. You’ll have a great looking, clean environment to work in every time. 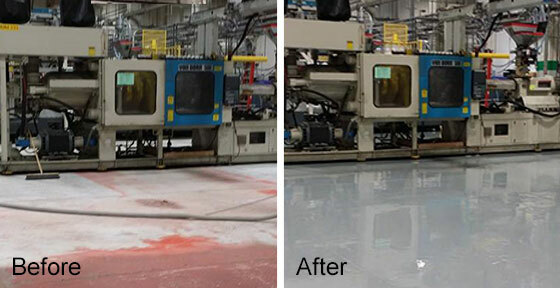 You can protect your guests and employees from tripping and falling by installing epoxy flooring with a slip-resistant additive. While slip-resistant shoes will help minimize trip and fall hazards, this added friction on the surface of the floor will significantly improve safety levels in your work zone. You can’t get that from basic concrete floor. Luckily, you can always add epoxy over your concrete flooring if you want to enjoy benefits like this in the future. At the end of the day, epoxy floors look better than concrete floors. They come in a number of colors for you to choose from, and they provide a prominent sheen that is sure to make your business look its best. 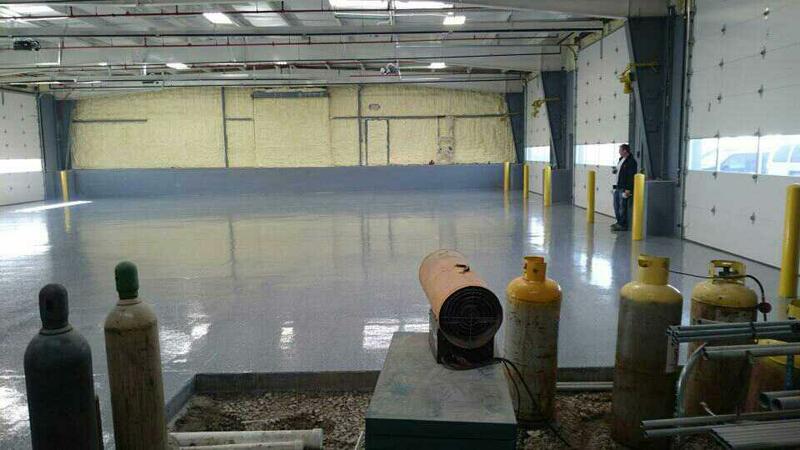 No matter how you compare industrial epoxy flooring and concrete, the epoxy is going to come out on top. Keep that in mind as you being exploring industrial floor coverings for your business. 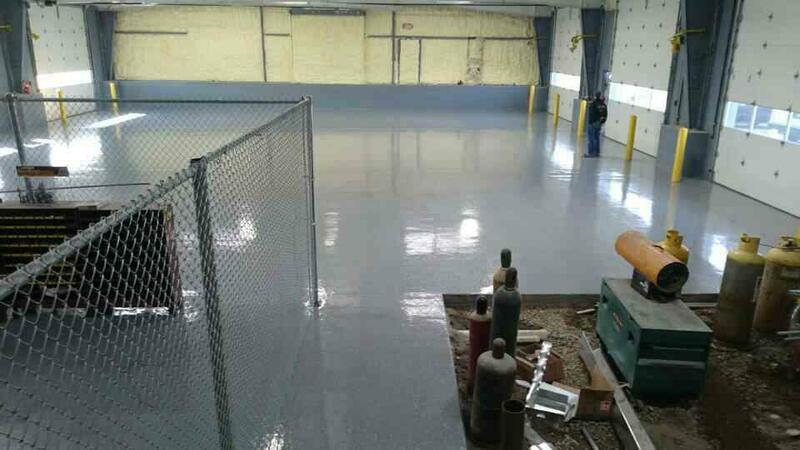 Industrial epoxy flooring is known for being easy to clean and maintain. The coating on the surface is designed to repel stains, liquids, and chemicals that would be a problem on other flooring materials. Nevertheless, there are some steps you can take to keep your epoxy floors as clean as possible. 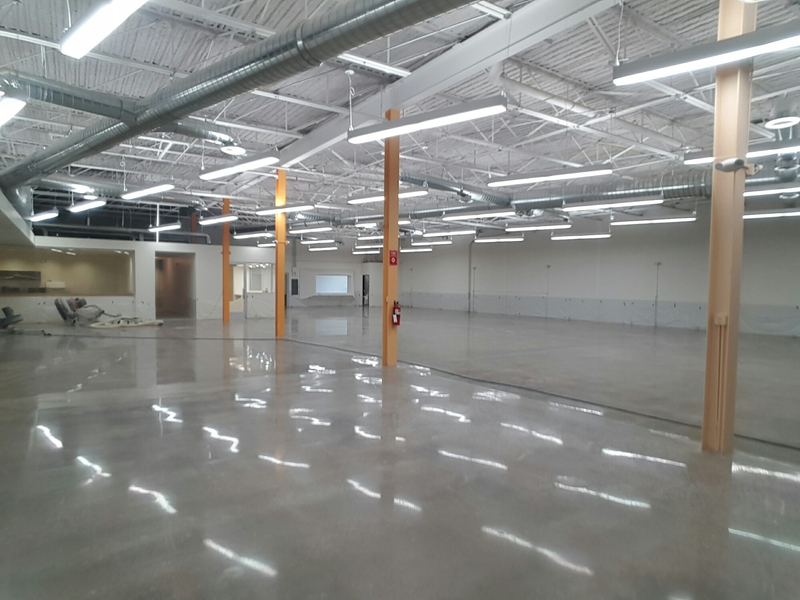 Check out this guide to learn how to clean industrial epoxy flooring. Basic dust and debris on the surface of your epoxy floors can be swept up with a soft-bristled broom. 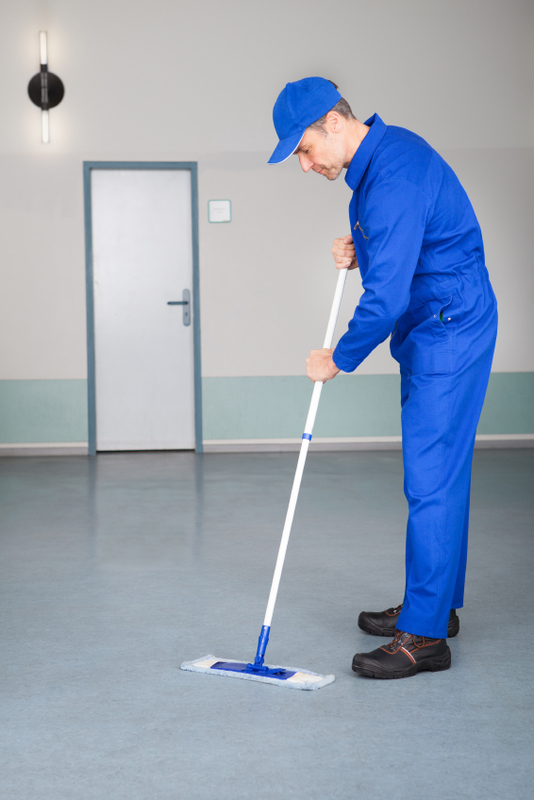 You can also use a commercial dust mop if you need to cover a large area at once. These are available at most improvement stores. The amount of sweeping you will need to do will depend on the amount of dust that builds up on your floors. Minor spills can usually be wiped up with a paper towel, terrycloth towel, microfiber cloth, or similar soft fabric swatch. If the spill is fairly large, you can use a mop to quickly absorb the liquid. 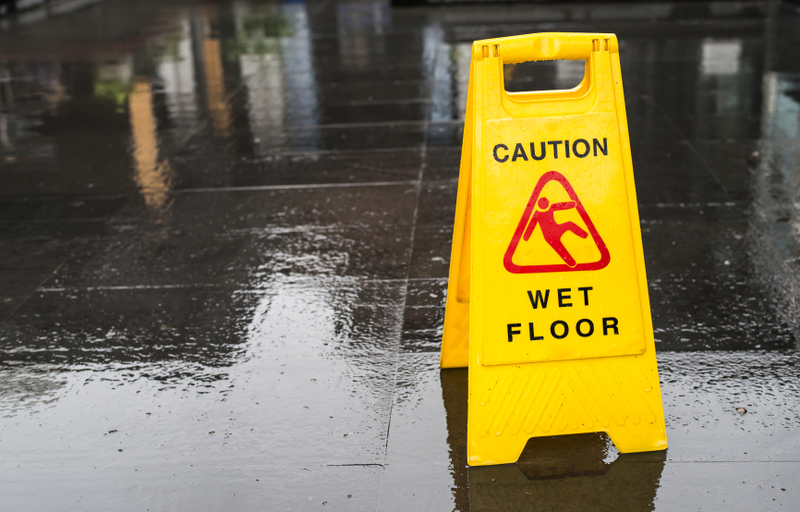 Try to soak up the spill as soon as possible to avoid trip and fall hazards in your business. If your floor has not been cleaned in a while or a spill was left to dry out on the floor, you may need to use some advanced epoxy cleaning methods to clean the floors thoroughly. Start by sweeping all surface debris in the area as you normally would. Then use a mixture of hot water and clear ammonia to clean the remaining soiling. Use a ratio of 5 ounces of ammonia per gallon of water. Make sure your mop is clean before and after you use it. If you have a large epoxy floor that you want to clean quickly, you could simply run a hose over it and use a squeegee to get it dry. This will not target specific soiled areas, but it will clean the floor overall without much effort. Keep in mind the texture of your epoxy floor coating though. If you have colored chips or a slip-resistant seal on the surface, the squeegee may not be able to get over the texture on the floor. You’ll end up with pool of dirty water on the floor that will look unsightly over time. With simple, regular cleaning, you should be able to enjoy your beautiful industrial epoxy flooring for years to come. Copyright © 2016 North American Coating Solutions. All Rights Reserved.